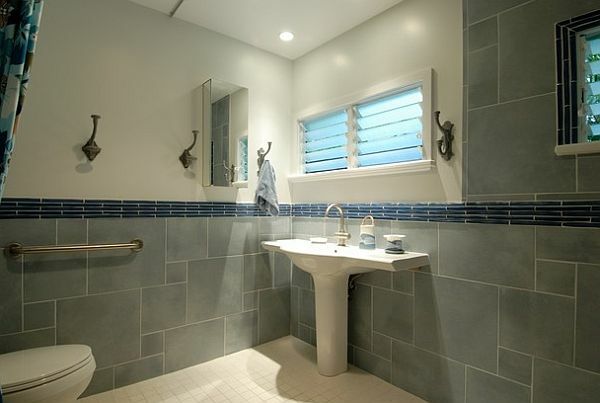 In recent decades, there has been a trend to go big with sink designs. 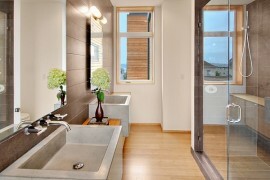 Unlike the tiny basins of previous centuries, new sinks also double as counter space and bathroom storage. 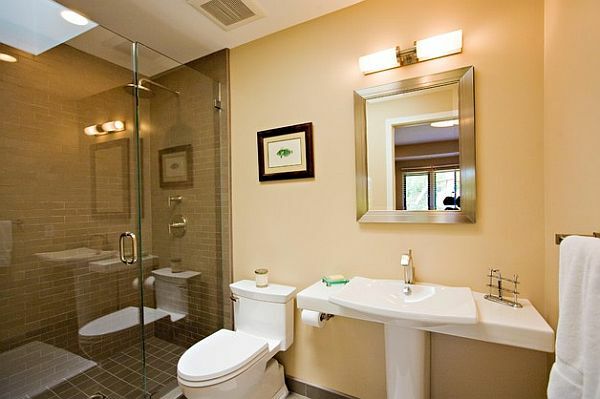 While this is often a good use of space, it can make a bathroom feel smaller – especially if the bathroom is relatively small to begin with. 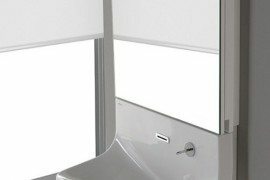 If you’re looking to tweak your bathroom space, and give it a more open, fresh feel, then consider a few simple and elegant pedestal sink designs. 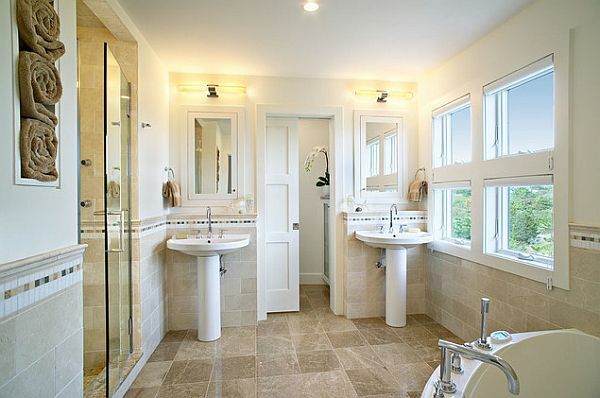 Just because you choose a pedestal sink doesn’t mean you have to give up all of your counter space. 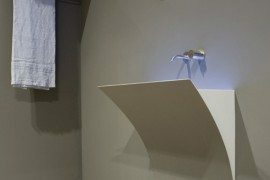 There are many pedestal style sinks with flattened tops with just enough space for a bottle of a dish or hand soaps, a tiny vase or a cup for toothbrushes – which is really all you need. 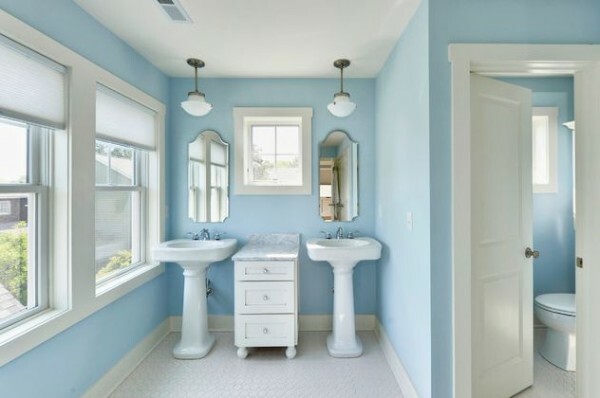 If you need space for anything more, your bathroom is probably too cluttered and you should invest in cabinetry, storage shelving or a medicine cabinet. Also, you don’t have to get rid of your double sinks, if you have them. 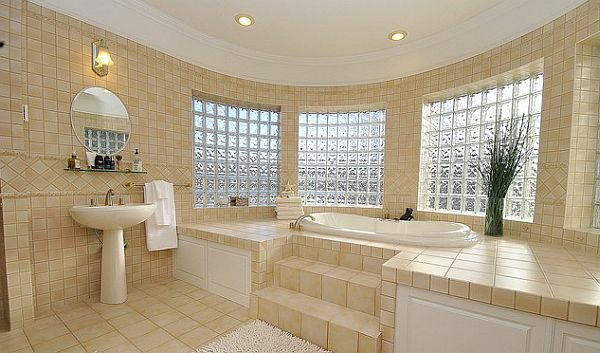 “His” and “hers” sinks can be a true blessing to anyone sharing a bathroom. Double pedestals can be an interesting design. 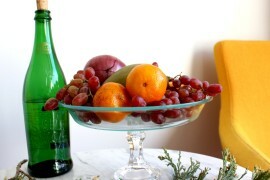 In between, consider adding a tiny shelf unit for additional storage. 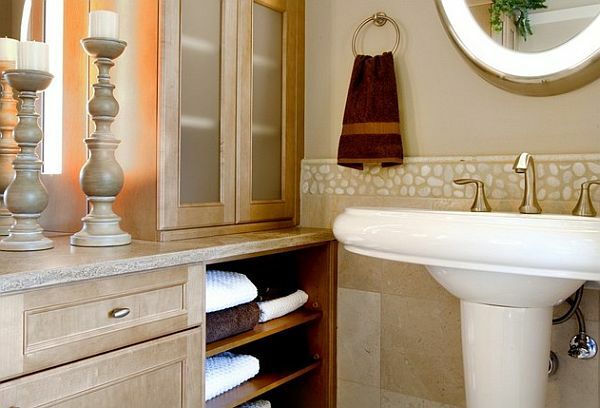 Pedestal sinks are great for areas like powder rooms where storage and counter space are not a necessity. They’re also a helpful addition to crafting rooms – if you have the plumbing. 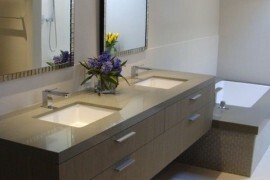 One of the great things about pedestal sinks is that they allow you a flexibility in your design choice. 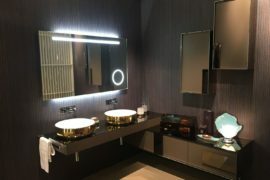 From ulta-modern cylindrical sinks and contemporary stone to whimsical, kid-friendly colored sinks and ornate colored glass options. 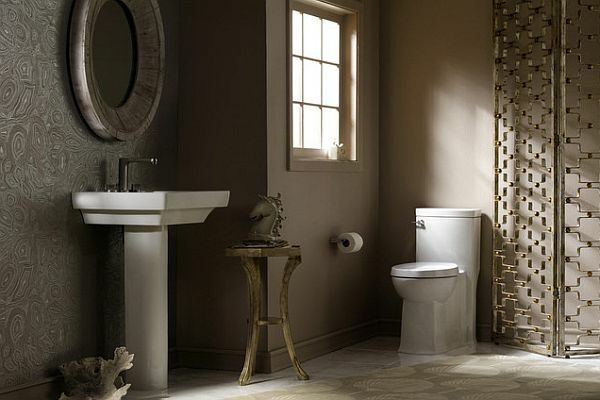 A pedestal sink will not only open up your bathroom space – it will give your space a great deal of character and charm.